HOSTEL 64 Osaka : staff blog: Let's have Kobe beef in Kobe! Let's have Kobe beef in Kobe! Kobe is fairly close from Osaka. You'll get to the city centre in an hour from our hostel. we are often asked this question: Where can we eat Kobe beef? Wow! Such a tough question. There're lots of local people who haven't had it! So I did some reserch and found a few places look nice. *The price is for a course with 150g of beef exept for Robata and Izakaya style. 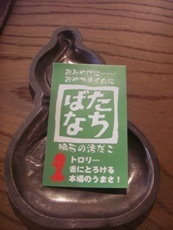 Also you must try AKASHIYAKI there, a kind of TAKOYAKI (Octopus ball). Say Ichi-nin-mae for 10 pieces. 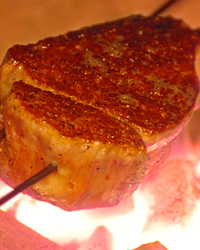 Please tell us your favourite Kobe beef restauran!